Australian billionaire and casino mogul James Packer is expanding his network with a Las Vegas casino on the cards, taking his casino development pipeline worth to more than $6 billion. Crown Resort Limited announced it has acquired a 34.6 acre vacant site on Las Vegas Boulevard for US$280 million. 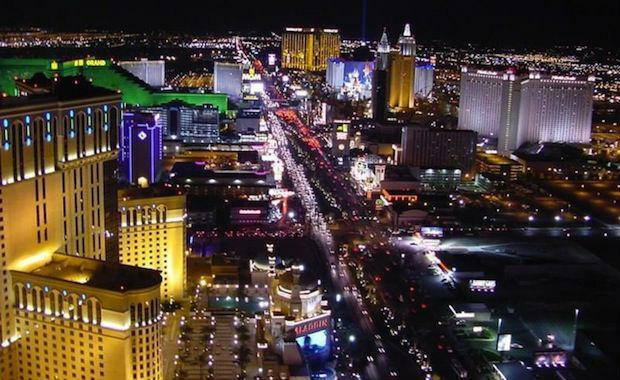 The site, which is on the famous Las Vegas Strip, was formerly occupied by the New Frontier casino and was acquired through a foreclosure auction initiated by lenders to the former owner of the site. The trio has created a new majority owned subsidiary that will develop the casino, which is opposite Wynn Las Vegas. Mr Pascal, who is the co-chairman and CEO of the new company, said he had studied the “ever-shifting” Las Vegas landscape for over 25 years. “I’ve always been inspired by this city’s capacity for reinvention. I’m excited to have my hand in crafting something new and fresh for the resurgent Las Vegas market,” he said. Mr Packer, who is also a co-chairman of the new company, said you couldn’t be in the gaming industry and not have a special reverence for Las Vegas. “As we have built Crown Resorts into a thriving international company with successful casino ventures in Australia, Macau, and London, we’ve always kept our eye on Las Vegas. And while we fell short in past attempts to enter that market, we now have the ideal opportunity ‐ with a great local partner in Andrew, a leading financial investor in Oaktree, and the perfect piece of property." President of Oaktree Bruce Karsh said they acquired an interest in the site because they believed it was the best piece of undeveloped land on the Las Vegas strip. “When Andrew approached us and shared his vision for the site and his partnership with Crown, we were eager to reinvest a portion of the proceeds from our debt investment and become an equity partner in their exciting new venture,” Mr Karsh said. Crown Resorts owns and operates Crown Melbourne and Crown Perth in Australia. In the United Kingdom, Crown wholly‐owns and operates Crown Aspinall's, a high‐end casino in Mayfair, London. In addition to Crown’s wholly owned assets, Crown holds a 33.6 per cent equity interest in Melco Crown Entertainment Limited, an operator of integrated resorts in Macau. It also has a portfolio of other gaming investments which are complementary to its other businesses. Plans for the new development are still being finalised, however the company expects to break ground in the latter part of 2015 and complete the project in 2018.